The typical spoken language, folkways, traditional beliefs, and religious practices are skillfully woven into this portrait of Appalachian family life. The author's sympathetic insights into mountain culture combined with memorably etched characters and events create a realistic reflection of Tennessee mountain life during the decade following World War II. Maggie's life takes an unexpected turn when her cousin JD reveals a dark secret that could shatter the family. 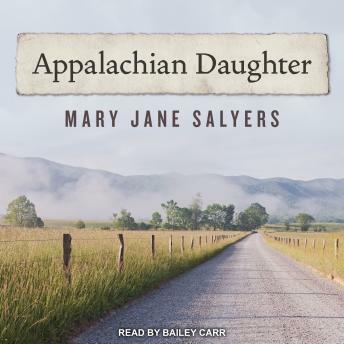 Maggie struggles to maintain her dreams of a better life amidst the many trials that will test the grit of this Appalachian Daughter.